Der Artikel John Adams (geb. 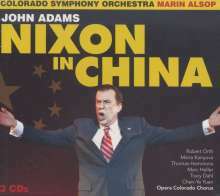 1947): Nixon in China (Oper in 3 Akten) wurde in den Warenkorb gelegt. 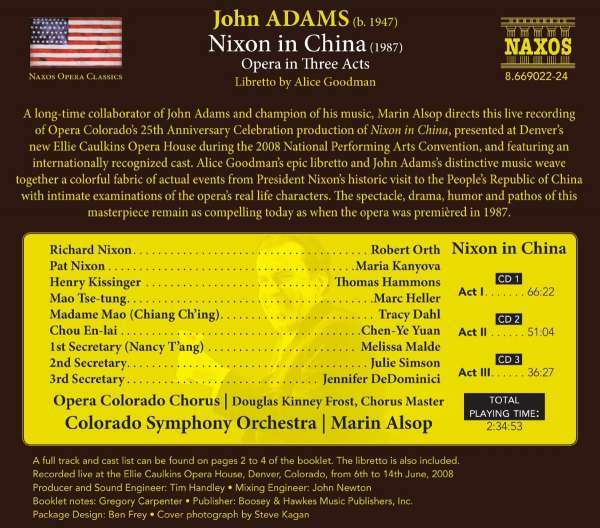 A longtime collaborator of John Adams and champion of his music, Marin Alsop directs this live recording of Opera Colorado's 25th Anniversary Celebration production of Nixon in China, presented at Denver's new Ellie Caulkins Opera House during the 2008 National Performing Arts Convention, and featuring an internationally recognized cast. 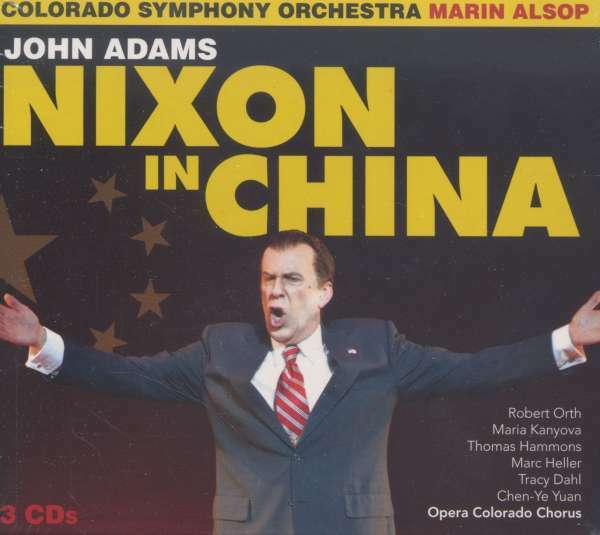 Alice Goodman's epic libretto and John Adams's distinctive music weave together a colorful fabric of actual events from President Nixon's historic visit to the People's Republic of China with intimate examinations of the opera's real life characters. The spectacle, drama, humor and pathos of this masterpiece remain as compelling today as when the opera was premièred in 1987.